With target space at a premium earlier in the season, 2018 saw Captains Day moved to the last Sunday in April. Warm weather and dry firing points welcomed 18 entrants, 9 from WPRC. Competition reverted to the normal format of 2 sighters with 7 to count at 300, 500 and 600 yards, with prizes for Top Gun and the Captains Day Salver for the best handicapped score. We have had many previous successes in his competition, but 2018 produced a faultless performance from North Herts Rifles GB international, Ian Ashworth with an impressive 105.14v. With his impressive marksmanship Ian also clinched the Salver with a winning handicapped score. We provided the next three places with Ashley Coleman-Cooke 104.10, James Greenway and Bob Jackson both with 103.9. 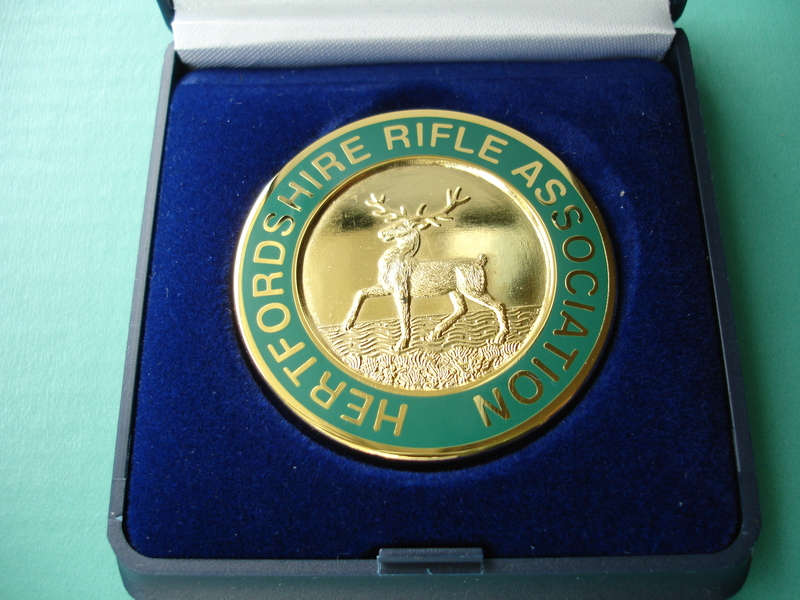 Full results can be found on the Hertfordshire Rifle Association website. www.hertsra.org.uk and follow Competition details then Captains Day links. In the afternoon the Herefordshire Club Teams Challenge Shield was shot at 300 and 600yds. The entry attracted four teams this year, all sporting six team members. The Welwyn team triumphed with a solid team performance, running out clear winners and repeating our win from 2017 and many other years before. Welwyn Phoenix retained the Shield, again ensuring that we have to plan next years event, which is always the downside of winning this match!